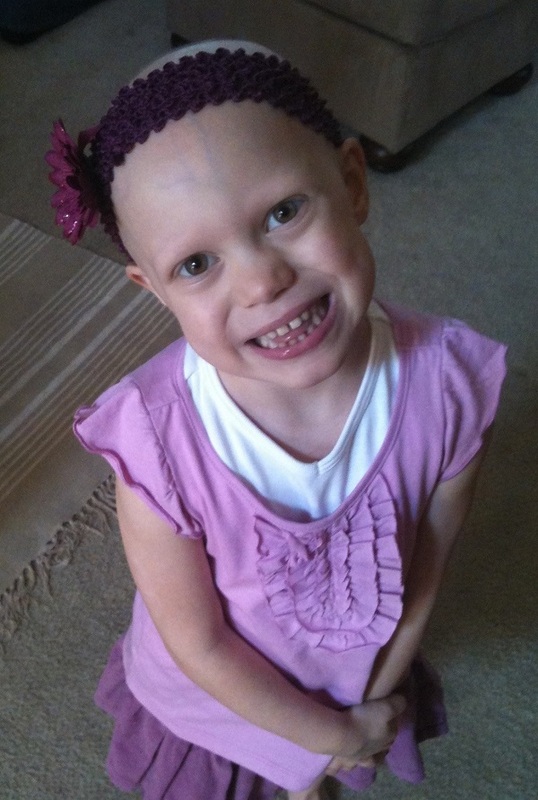 When Abby was 4, she was diagnosed with Ph+ ALL, a rare and aggressive form of childhood cancer. “What do we do now?” began on February 16, 2011, but it didn’t stop that day when our 4-year-old daughter, Abby, was diagnosed with pre-B acute lymphoblastic leukemia (ALL). 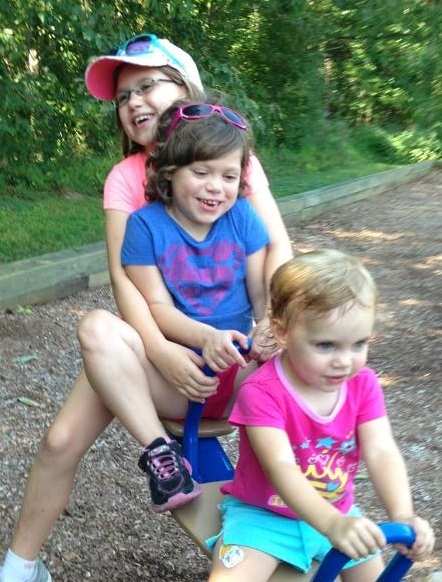 One week into chemotherapy treatment, Abby’s diagnosis got more complicated when we learned she had Philadelphia chromosome positive (Ph+) ALL, an aggressive subtype of leukemia. Our oncologists let us know that the recommended care would involve a bone marrow transplant. We contacted the oncologist at the hospital Abby was transferring to for the transplant and we were told about a drug called dasatinib. Dasatinib is not a new drug, but it has only recently become an option for treatment for kids like Abby. Because drug development is so expensive, drug companies first target their biggest market for cancer drugs: adults. But thankfully, there are charities like the St. Baldrick’s Foundation that fight for children’s survival. St. Baldrick’s, in particular, funded a grant to study the efficacy of dasatinib in children. Because of that research, dasatinib was available for Abby, and we opted to add it to her treatment immediately. Abby, right, with her big sister, Maggie. A funny thing happened on the three-month-long road to transplant: Abby went into clinical remission and remained there! While traditional chemotherapy was not working, once dasatinib was added to the regimen, she showed progress. Now we had a choice to make: should Abby still get a bone marrow transplant, or should she stick with chemo plus dasatinib? This was a tough call. The standard of care pointed to transplant, but chemo plus dasatinib seemed to be working. Thankfully, we had access to first-class, world-renowned medical professionals. But their opinions were split down the middle. Half said transplant; half said stick with what’s working. The choice was hard, but because of St. Baldrick’s, at least we had a choice. We decided to continue with chemo plus dasatinib. Why did we make the choice to skip the transplant? Pessimistically, we wanted to save that option for the statistically probable relapse. That’s cold, that’s clinical, that’s brutal — and it’s also reality. Parents of children with cancer learn quickly to either avoid or to parse percentages and statistics, but they can’t be completely ignored because they help form decisions. Transplants are very risky procedures, and we were told that Abby could have a 75 percent chance of surviving the transplant. Great odds for Vegas; horrible odds when you are referring to a child’s life. Let’s put it to a simple test. Grab a quarter and flip it twice. If it comes up tails both times, that child did not survive the procedure. Would you take that bet? Abby playing with her sisters in September. But there were other reasons for our choice. With bone marrow transplants come medical isolation and pauses in life for recovery. Chemo was no easy road for Abby, but she was able to attend most of her classes and participate in activities that were important to her, including sports, Girl Scouts, church, movies, camping, amusement parks, and nearly every other “normal” activity for a girl her age — all of which might not have been possible had she received a bone marrow transplant. One final aspect of our decision-making process focused on the optimistic outcome: long-term survival. A transplant is not a guaranteed cure. Relapse is still a legitimate possibility, just as it is with chemo, and secondary transplants carry even more risk. While chemo has serious side effects, the side effects of a bone marrow transplant can be much more severe. The toxicity of the chemicals and the strength of the radiation that are part of the transplant often result in infertility, learning disabilities, and other lifelong medical complications. We don’t know if Abby will be able to have children. We don’t know if Abby will want to have children. We do know that we did what we could to protect her ability to make that decision herself. By making this choice, we believe we are giving Abby more choices later on in her life and more mental acuity with which to make those decisions. It’s been nearly three years since Abby’s diagnosis. Had she been afflicted five years ago, dasatinib would not have been an option for us. What will be available five years from now? We don’t know — no one does. “Chemo was no easy road for Abby, but she was able to attend most of her classes and participate in activities that were important to her…all of which might not have been possible had she received a bone marrow transplant,” Abby’s dad explains. But this is why pediatric cancer research is so important. It is about the future: our future, Abby’s future, and the future of every child who will be diagnosed with cancer. “What do we do now?” began on February 16, 2011, but it hasn’t stopped, and it never will. But because of St. Baldrick’s, we had a choice. 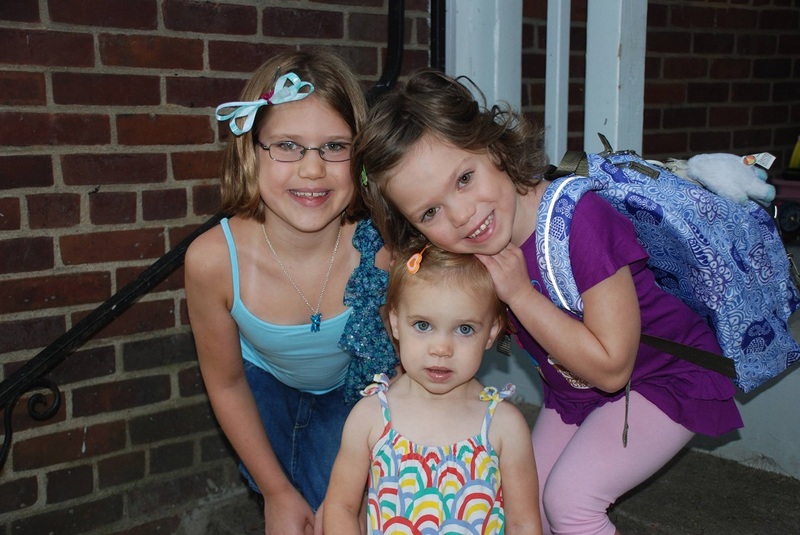 And because of St. Baldrick’s, Abby will have more choices — hopefully, a lifetime of them. 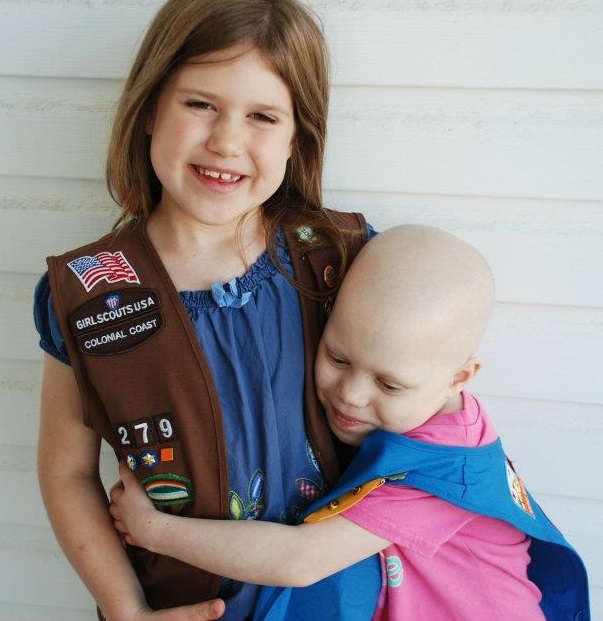 Give hope to kids with cancer like Abby. Donate to childhood cancer research. Goodbye Cancer. Hello 3rd Grade.